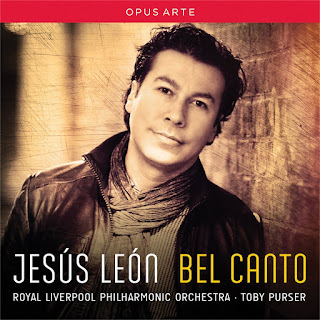 On this stylish new disc from Opus Arte, the young Mexican tenor Jesús León makes his claim in the bel canto tenor stakes. 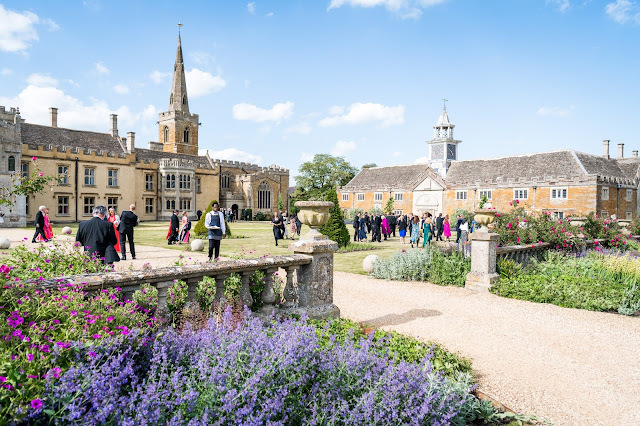 He sings a selection of arias from Donizetti's L'elisir d'amore, Don Pasquale, Roberto Devereux, Lucia di Lammermoor and La figla del reggimento, Bellini's I Puritani and I Capuleti e i Montecchi, and Verdi's Rigoletto and Falstaff. He is accompanied by the Royal Liverpool Phiharmonic Orchestra conducted by Toby Purser. Do we need another bel canto tenor, you might ask, particularly as this is quite a straightforward selection with none of the more unusual operas that he might have performed. The disc is squarely set in the centre of the market, but Jesús León clearly has a strong sense of what shows his voice off. On this disc he gives a series of highly shapely, polished and a lovely sense of style. 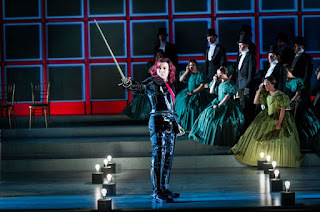 Jesús León has quite a narrow bore, fine-grained voice which has a lovely surface sheen (it works well live, as I saw him in Bellini's I Puritani at Grange Park Opera in 2013, see my review). In timbre it has elements in common with a tenor like William Matteuzzi who devoted his career to the early 19th century Italian operas (and I love his recording of Bellini's I Puritani will Mariella Devia). 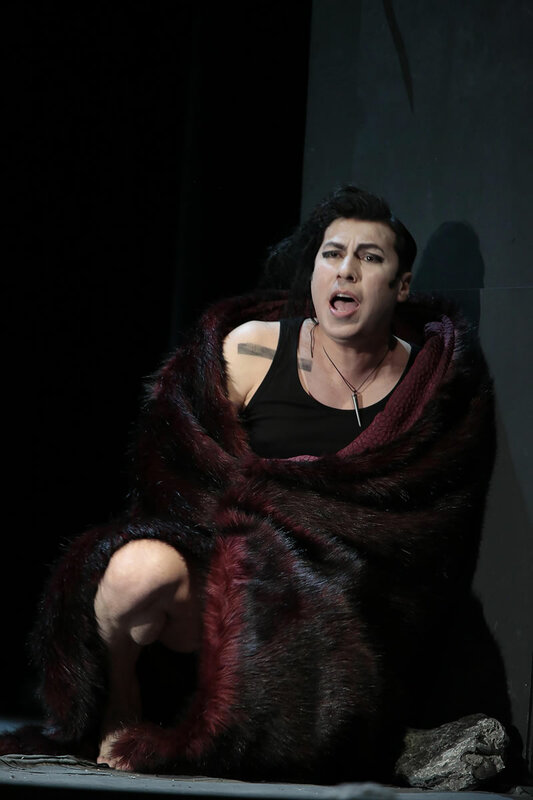 But in overall terms, the tenor I was most reminded of was Alfredo Kraus; Jesús León has the same stylish feel and the same care not to push the voice beyond its natural limits. Jesús León trained in his native Mexico and in the USA (including the young artist programme at Los Angeles Opera), he also studied with Mirella Freni. He has made a number of appearances in the UK. In addition to Grange Park Opera, he sang Alfredo in La traviata with Scottish Opera, and Don Ottavio at Garsington. During 2015 he will be performing I puritani in Catania, La sonnambula at the Ravenna Festival and in Ferrar, and Anna Bolena in Cagliari. Una furtiva lagrima from Donizetti's L'elisir d'amore is sung with a lovely sense of line and real style. He positively caresses the melody at times, giving us some fine mezza-voce. This is continued with the cavatina from Bellini's I puritani, La mia canzon, and Povero Ernesto from Don Pasquale. All three have a shapely, long-breathed feel to them, and the aria from Don Pasquale has a stylish trumpet so to match. Perhaps the three are not quite as well differentiated as they might be in terms of character. It is melody rather than words which seems to concern him, but that said he brings a nice ardent (and self pitying) feel to Ernesto's aria from Don Pasquale which sets is apart from the previous two. This aria also gives us a chance to hear that Jesús León's way with the music works in the faster sections too. The mood changes with a pair of arias from Verdi's Rigoletto. The Duke of Mantua is one of those roles sung by heavier lyric tenors and is often the heaviest that they go in Italian repertoire. Jesús León brings a nice firmness to the dramatic recitative which introduces Parmi veder le lagrime, and in the aria we find the Duke in rare reflective mood. Though the aria is related to the earlier ones, Jesús León give Verdi's vocal line a more vibrant feel, and sense of drama. And he brings a swaggering charm to La donne e mobile and makes it sound not hackneyed. Come uno spirto angelico from Donizetti's Roberto Devereux again has great lyrical beauty in the opening section, and a lovely ardent impulse in the faster second section, with some crisply tight orchestral playing. 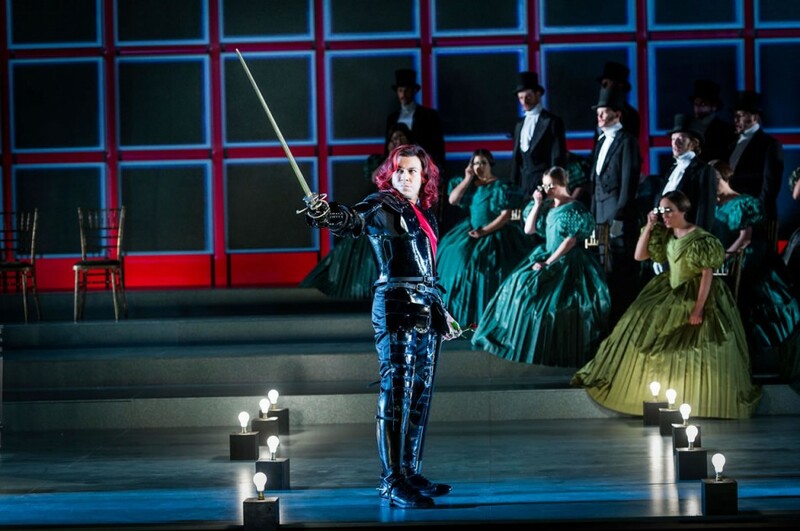 A te, O Cara from Bellini's I puritani has great style and is fluidly shaped, and there is a fine top D. But what I missed was a more detailed sense of character in the music in the way that a singer like Callas could bring. E serbata a questo acciaro again allows us to hear Jesús León in more up tempo mood, as the lyrical ardour of the opening leads to the rather brilliant second section. Toby Purser makes the introduction to Tombe degli ai miei darkly threatening with a highly expressive attention to the words in the recitative from Jesús León, leading to a passionately intense cavatina. Unfortunately he does not crown this with the cabaletta, and rather leaves us wanting. Dal labbro il canto estasiato vola from Verdi's Falstaff starts with a lovely horn solo and develops into an interestingly varied arioso, far more expressively complex than anything written in a previous generation. The final item on the disc is the famous tenor show piece Ah, mes ami with its string of top C's from Donizetti's La fille du Regiment. Originally written in French, for the first Italian performances Donizetti wrote a replacement aria, still difficult but without the insistent repetition of the top C's and more allied to contemporary Italian tenor technique. Here Jesús León sings the original aria from the French version, but translated into Italian. For me this is a bit of a black mark, I far prefer opera of this period in its original language and feel Jesús León should have either sung it in French, or given us the Italian aria which Donizetti wrote. 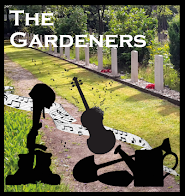 Toby Purser and the Royal Liverpool Philharmonic accompany with a nice degree of style and finesse themselves, though there were a couple of tiny lapses in ensemble which suggested shortness of studio time. I loved the sense of style which Jesús León brings to this repertoire, with his sense of a flexible line and nice fluidity in the music. We get quite a few ringing top C's and D's here, but apart from extended final notes, he does not push them so that they stand out alarmingly, instead they are nicely integrated into the line, as they should be. But I did worry that the sense of character in the different arias was not specific enough. Partly the blame lies on the choice of repertoire. Much of the disc is taken up with lyrically melancholic cavatinas; all beautifully done but I would have loved to have a few more cabalettas. And the answer to my question at the top is, of course, a resounding yes. We always need good bel canto tenors, and Jesús León is more than good. 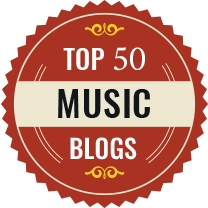 Occasionally the arias seem to not quite have enough dramatic engagement, as he prioritises musical values. But he sings with a lovely confident sense of style and a nicely open, unforced top, allied to a lovely sweetness of timbre.